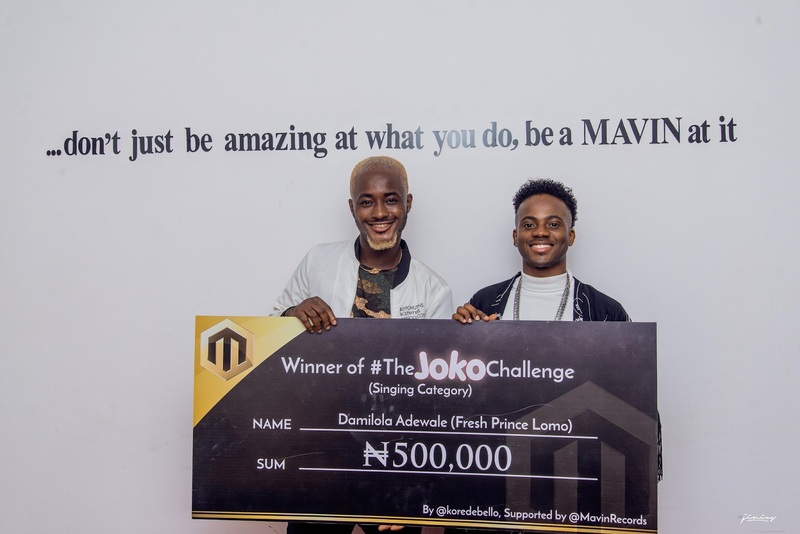 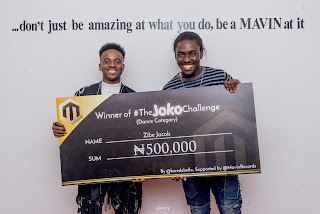 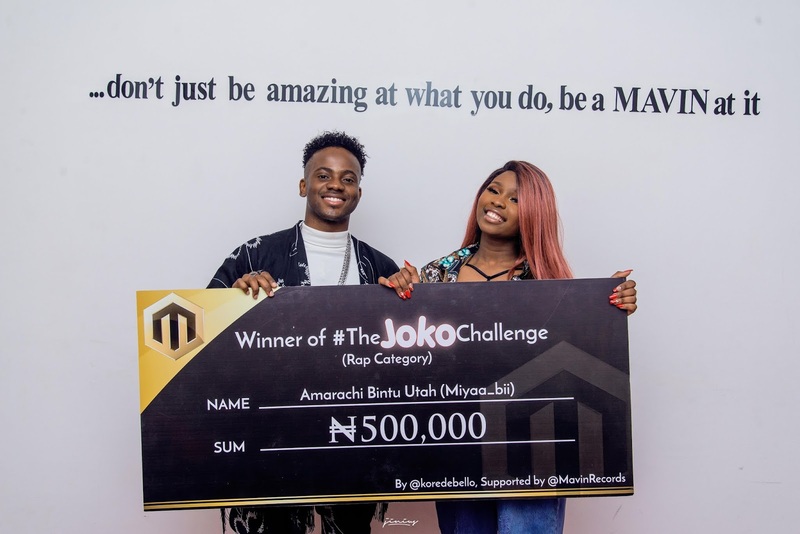 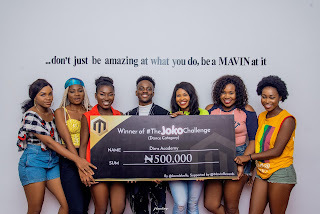 Mavin Records sensational singer, Korede Bello as announced the winners of his social media talent competition #TheJokoChallenge. 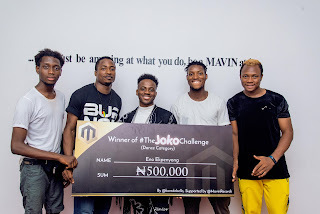 Following over 2000 entries from the competition with various talent exhibitions like Raps, Music, Dance and other creativities that can be showcased on the song one can say #JokoChallenge is the biggest freestyle song in the first quarter within the Nigeria music industry. One of the winners, Amarachi who came from the United State explained how she got involved and win. 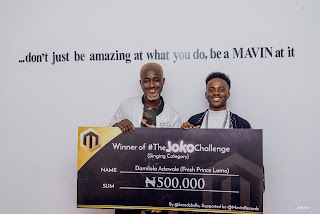 In her worlds"She said i saw the challenges on instagram and i decied to jump on it, I never expected to be a winner and i am happy to be in Nigeria to meet Mavin Records, Korede Bello and other artistes. 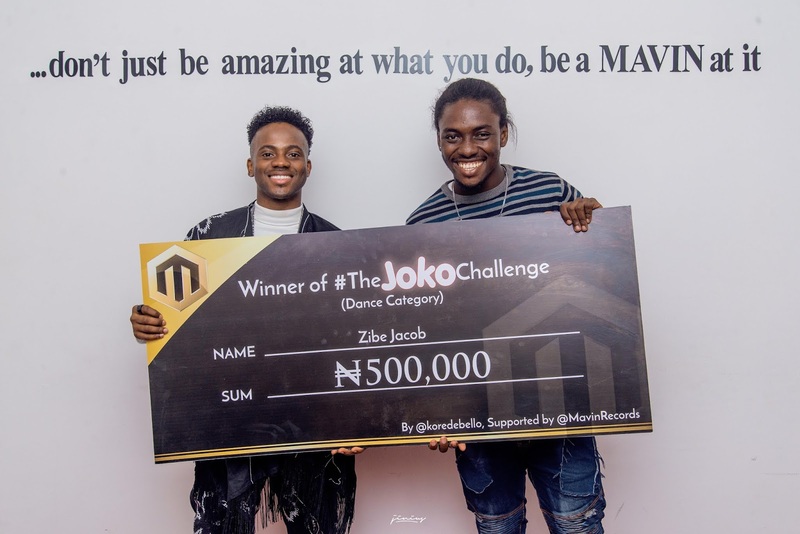 Finally, Mr Korede Bello informed the guests of his new songs and development and promise to release the official video to "Joko" showing all the winners. 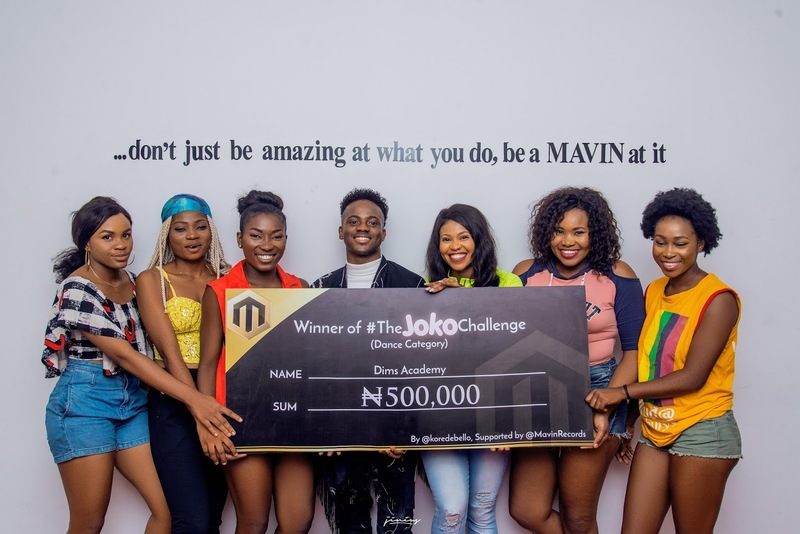 The names of the winners are; Diva Acamdemy (Dance Category), Zibe Jacob (Dance Category), Ena Ekpenyong (Dance Category), Damilola Adewale (Singing Category) & Amarachi Bintu Utah (Rap Category).